Saints will venture into another domestic cup semi-final when they face Newcastle Falcons at Franklin's Gardens on Saturday afternoon. Phil Dowson, Brian Mujati, Paul Diggin and Neil Best scored as Saints saw off Saracens in the clash at Franklin's Gardens. Shane Geraghty added three penalties and a conversion to set up a final, which Saints won, at Sixways. Scott Armstrong and Alex Waller were on the scoresheet as Saints stormed past Scarlets to set up a final meeting with Leicester at Sixways. Stephen Myler kicked 14 points against the Welsh side as Saints' forward strength told. 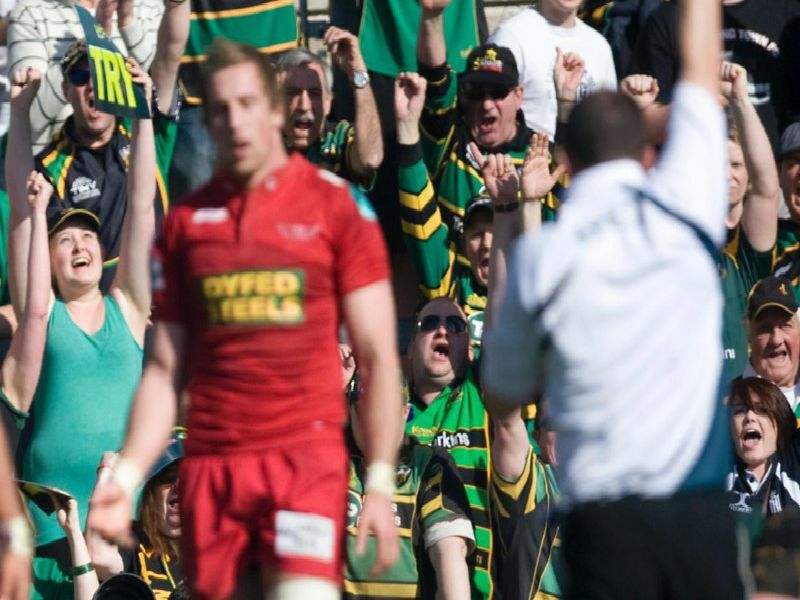 George Pisi grabbed a hat-trick as Saints reached their third LV= Cup final in five years. Saracens were the victims as Jim Mallinder's men shone at the Gardens. Stephen Myler and Will Hooley both registered points with the boot. Sam Olver and Phil Dowson scored for Saints but they were denied the chance to feature in a home final at Franklin's Gardens as Saracens just managed to edge them out at Allianz Park thanks to David Strettle and Mike Ellery tries.